Don’t get me wrong – I do aim to live simple and minimalist lifestyle. Over the last few years, I have really simplified my life – and I have been madly jettisoning things from my life – from crockery to commitments. My family thinks I’m crazy not to keep a couple of dozen teacups. They can’t understand how I get by on just four. Maybe you already know that we don’t need most of the things we accumulate. If not, then here are some Kaizen tips to help you get started with simplifying and streamlining your life. Excess stuff crowds our space, clutters our minds and separates us from the knowledge of what’s important. And it’s financially draining. Less is more and clearly less is best. 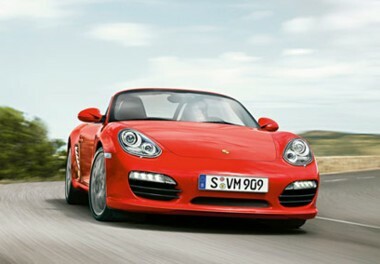 However, I still love my gadgets and my fancy goods – and I crave a shining toy, the ultimate for me, a Porsche. I mentioned this to a friend recently and she was astounded that a “minimalist” like me would have aspirations of owning a car like a Porsche. As I said to my friend, being a minimalist is not just about how little or how much stuff you have, but also about having those things that are important to you. Besides, having a fast car is usually seen as the territory for younger people. But of course, there are many other positively, amazing ways to be young forever. Minimalism doesn’t preclude or prohibit indulging one’s desires, appreciating an object of quality or purchasing something at an exorbitant price. Experiencing the delicious feeling of abundance that has nothing to do with an abundance of things. It’s an abundant world and abundance is our birthright, or so all the inspiration gurus keep telling us. 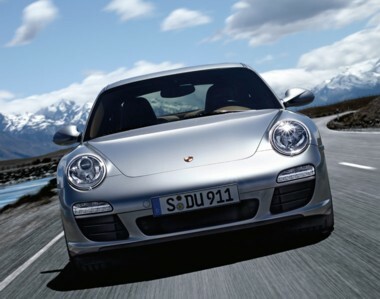 There’s plenty to go around, though not necessarily a Porsche for everyone. And would Lakshmi, the Indian goddess of wealth approve!? Here’s my guide to help you decide whether or not you should get that luxury product. First things first, evaluate your priorities. You can have it all – and get to live a full life by filling each moment with meaning and purpose. Tough times can drive your creativity into third gear. The value of any acquisition is not what you pay for it, but the value you derive from it. So ask yourself: Will I derive enough value from say a Montblanc pen, a Gucchi bag or a Porsche to put it above other things on my priority list? Or maybe, you just need to slow down enough to find your freedom. Consider this – maybe it’s time for you to slow down and get inspired in other ways. Look for other ways to get inspired and find your inner muse. For example, you could hire, borrow or steal a Porsche, though I don’t advocate the last method, unless you also want to be driven away in an almost-as-fast police car. Kick your obstacles to the curb and live your dream. Get clearer in your mind about what you really want – and write a letter to the universe. You may just manifest what you really need and want. But with money comes the responsibility to spend it wisely. Yes, be careful how you spend your money, and on what. But frugality doesn’t mean giving up on your dreams. You can be frugal but not give up on some of the things that excite you and make your life more fun. Always believe something wonderful is coming your way. Editorial note:- This post was first published in a shorter form on Be More with Less. Thank you for showing how minimalism isn’t all about “doing without.” It’s about having what’s important to us, what makes us feel good, without the excess. And sometimes what’s important to us costs a bit more. So be it. The things you’ve listed to consider are perfect! 1.) Do you need it? Will you actually use it? 2.) Do you really want it? Will it bring you joy? People often get surprised when I wax lyrical about something materialistic. I really love the Mercedes SLK, the one with the hardtop that slides into the trunk. It’s not a practical car, but it just makes my eyes sparkle. I love my phone (Nokia, with a slide out keyboard, which was the main feature I wanted), my small laptop (which allows me to easily write anywhere, without having to carry anything heavy), etc. I go on luxury spa vacations, because I adore them. And yet, I have a small wardrobe, almost no other expensive possessions or gadgets, no frills, etc. I buy what I really want to buy because I want to buy it. I don’t care what others want, what they might think or what they recommend. I don’t care if it’s new or old or shiny or the hottest thing. I get what I want to get when I want to get it for my own reasons. No more than that, but also no less than that. What a superb post you have written! I think we are entitled to have what we truly desire in this life as long as it is not hurting others to have it. While I like having nice things I don’t want so much that I become a slave to all that I own either. When I wrote, “Would Your Rather Have a Big House or a Big Life?” I was contemplating selling my home, which I later did. I miss my lovely home but the financial freedom I now have to do more of what I want instead of keeping up that home was well worth it. I don’t know the world of simplicity in depth. So I have no awareness if die hard (and/or judgmental) ‘simpliciters’ exist. But your point is well taken. If you want some material possession, think about it. Sit on it for a while and if it continues to enter your ‘I really want’ place, then follow the tips your suggested. I love how Deepak Chopra talks about money flowing through us. Yes, there is definitely a difference between being minimalist and denying yourself nice and useful things. If you needed to have a porche and 3 other cars in addition, that would be excessive, but desiring a car for your daily needs and wanting one that pleases you is not. What so many forget it do is to think it over. Thanks for bringing this up! What a great post. I love how you’ve taken minimalism out of the box that so many try to put it in. Way to go Arvind!